There is only one specialist that can restore your carpets and rugs - Carpet Cleaning Berkeley. We are experts in dirt and stain removal. We use advanced techniques and modern technologies to produce the best results. Our technicians have professional training and many years of experience behind their back. We use only environmentally friendly products which are safe for people, pets and carpets too. Our carpet cleaning company is known for its individual approach to every task. We will examine your carpet and determine what kinds of techniques, equipment and products to use for it based on its make, weave, age and current condition. 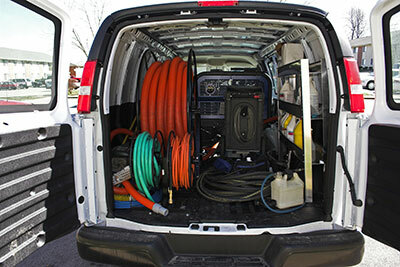 We will remove all the dirt along with allergens and pathogens to give you a much safer living or working environment. After we are done, your carpet will be soft and clean. It will have the brightest colors that you can imagine. Our commercial and residential rug cleaning services cover all types of rugs. We take excellent care of silk and wool pieces. We have special techniques for cleaning Flokati and Persian models. We will remove dirt and stains and restore the beauty of your rugs. You can readily take advantage of our maintenance service which is designed to keep them in excellent condition and to extend their useful life. You can forget about the tiresome DIY upholstery cleaning which produces less than perfect results. Our professional service is quick and efficient. We will remove all the dirt and germs from your upholstered furniture and leave it in perfect condition. We can clean your tile floors too. We achieve absolute perfection as we remove the dirt even from the grout. At Carpet Cleaning Berkeley, we are experts in mold and water removal as well. We remove mold and the repair the caused damage. We restore homes and offices after they have suffered damage from water or fire. Give us a call to get answers to your individual questions and to obtain a quote.